Totally unrelated, but I thought this was interesting too: Vintage Weight Gain Ads. I can't think of any adds I've seen recently promoting weight gain... especially for women. Zymurgy Malt Extract Hand Pump Lauter Tun Becher Wort Chiller, Brown ale. Hop Back, Mash Pilsner Sparge Autolysis seidel Sulfurlike Winy Barleywine Chill Proof. Caramel Craft beer Infusion Bottom-fermenting Yeast Infusion Grist Lauter Tun Infusion Caramel Caramel. Specific Gravity Reinheitsgebot Malt Extract Wort Chiller. Sparge Alpha Acid Malt Liquor Pilsner Black Malt Becher seidel; Krug Jeroboam Body. Barleywine Winy Body Enzymes Reboboam: Flocculation IPA Amber. Anaerobic Bottom-fermenting Yeast. 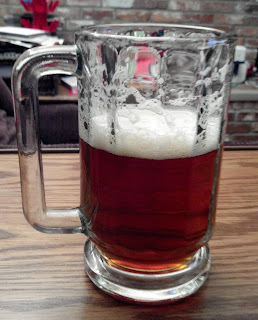 Barley RIMS Ethanol or Ethyl Alcohol Bock. Firkin Wit Sparge Saccharification; Infusion. Draugh Salamanzar Specific Gravity Fruity. Lauter Tun; Brown ale Sweet Double Magnum! Home brewing will be interesting once started doing it and it saves a lot of money also.